Destinations caught up with National Geographic Adventurer of the year, Alastair Humphreys to see what he was up to and talk adventures, big and small. A trip born out of a lack of direction ended up setting Alastair Humphreys on a path to a career he had never imagined. As a university student in Edinburgh, Humphreys was at a complete loss as to what he wanted to do when he grew up — adding that in some ways, he still doesn’t. All he knew was that rather than take a boring job “just for the sake of it,” he wanted to escape familiar “little Britain,” to get off what he perceived then as a small, isolated island in search of more exciting places around the world. Indeed, this motivation seems remarkably common to many young people in developed countries, but the mode of transport Humphreys chose was more out of the ordinary. He wanted to challenge himself, while at the same time see the world in a way that was cheap and slow, opening doors to as many people as possible along the way. Getting on a bike seemed the ideal way to achieve all of this, making for a more rewarding trip than the conventional backpacking holiday. 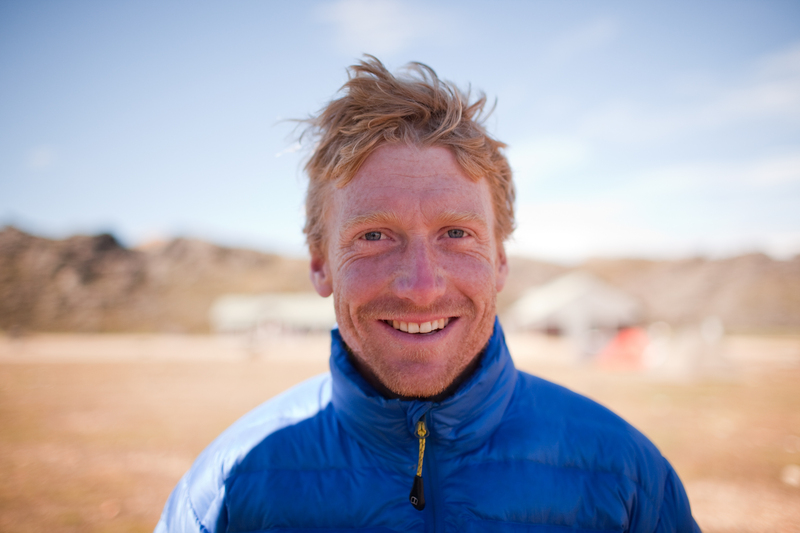 A portrait of adventurer Alastair Humphreys during his unsupported crossing of Iceland. The expedition was undertaken alongside photographer Chris Herwig. They carried all of their food, camping gear, and equipment for both glacier crossing and packrafting in 40 kilogram packs. Setting off from England without undertaking any training — reasoning that he would simply get fit along the way — Humphreys cycled across Europe, through the Middle East, and all the way down the east coast of Africa before sailing across the Atlantic to South America. From there, he headed up to Alaska, caught another boat over to Siberia, and cycled down through Russia, Japan and China to Central Asia, then back home to the UK. The reactions of others to his project were varied. 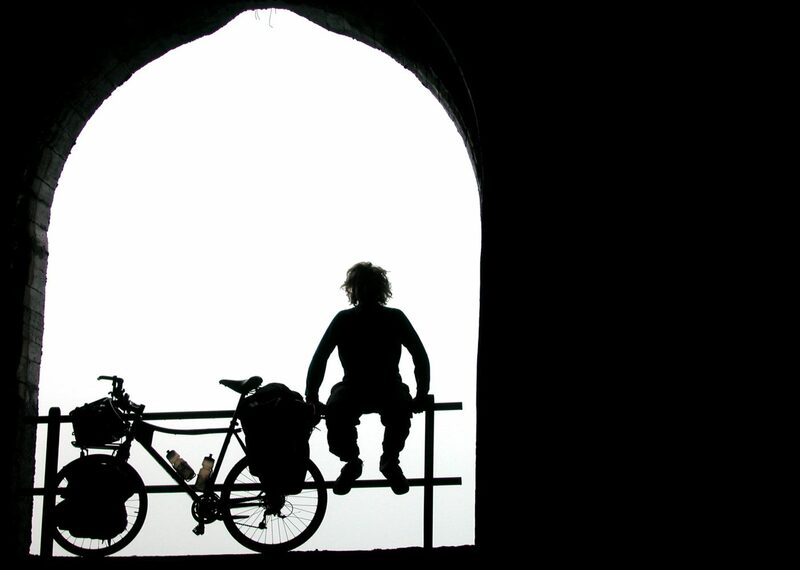 In general, Humphreys found that people from poorer regions, whose “horizons” and outlook on the world tend to be limited by their economic circumstances, found it difficult to comprehend why he would want to cycle from the UK to their town or country. In wealthier countries, he met more people who understood his impulse and were “a bit jealous,” that they couldn’t do the same. Getting to know the locals at each destination became easily the most rewarding part of the trip, but also engendered some unexpected mental and emotional challenges. 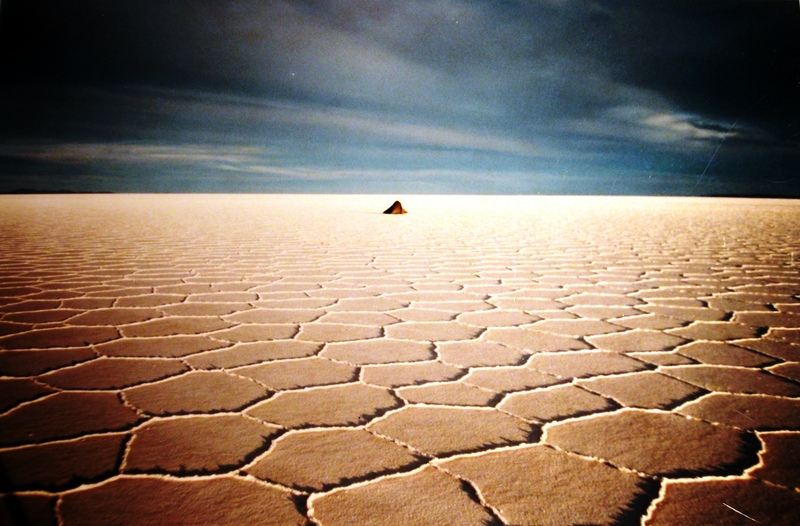 Humphreys was surprised at how much he struggled with the loneliness of the expedition, which was exacerbated both by simply passing through some places and by the time it took to stop and interact with people in others. He recalls that in those places where he stayed for an extended period of time — a week here and there, often being taken in by hospitable families — he would feel that he was just starting to make friends, when it became time to have to say goodbye. Doing this over and over again, Humphreys began to miss the sense of community that he was constantly leaving behind. However, Humphreys emphasises that everywhere has its mixture of difficulties and perks. He notes that while first world countries in Europe and North America were easy to traverse due to their infrastructure and cultural similarities, they were also very expensive, which is an important consideration for an adventurer who is only just getting by. He compares this to his time in Ethiopia, where he could “eat like a king for hardly anything,” and the people were generally more welcoming. However, witnessing the country’s poverty also made him very self-conscious of the privilege that allowed him to undertake his expedition. Some of the challenges Humphreys needed to overcome were completely in the mind: he recalls that his preconceptions of the Middle East caused him to worry about how he would be perceived. Yet, in actually travelling through the Middle East he realised that the region was “incredibly safe and welcoming.” Other limitations related to the physical demands he had anticipated, such as cycling and camping in minus 40 degree conditions in Siberia. Humphreys differentiates between enjoying an experience or destination in the moment, and in reflection — looking back on that same experience. He tells us, “The places that I look back and enjoy are often not the places I enjoyed at the time.” It is the adventures that were “quite miserable and difficult,” that he remembers fondly now. 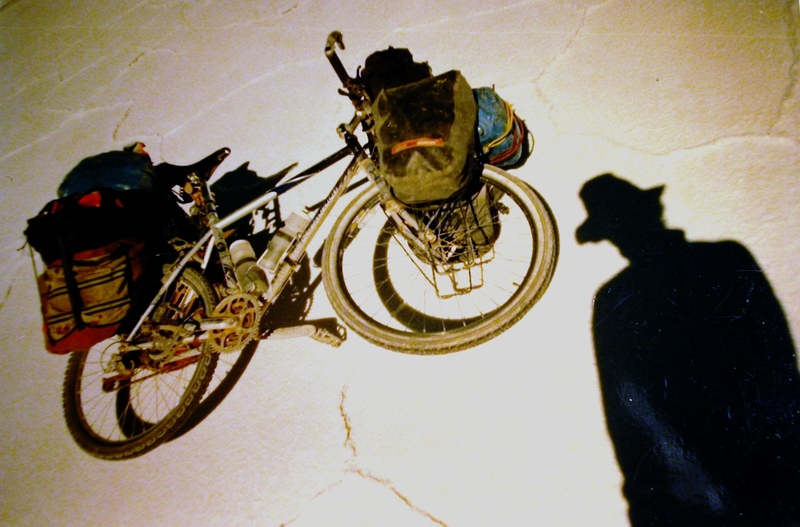 There were, however, some moments of pure fun on the expedition: Humphreys unequivocally loved cycling through Patagonia, which he describes as beautiful and wild. Since his first expedition, Humphreys has undertaken a range of other adventures, walking across Southern India from coast to coast, rowing the Atlantic Ocean, crossing Iceland, and traversing the Empty Quarter in Saudi Arabia, Oman and Yemen. He aims to balance journeys that are about meeting people, such as his Indian adventure, with those that are about surviving a hostile natural environment. As to why people seek out these kinds of experiences, Humphreys observes that in our normal lives we don’t get the chance to push ourselves and rarely get to see what we’re made of. He believes he always had the drive to accomplish his adventure goals, but didn’t see it emerge until he tested himself by setting off on his bike that first time. Once we give in to the “compulsion” and get started, Humphreys suggests adventuring is “a bit of an addiction.” It generates the desire to push ourselves that little bit harder each time, to achieve something we had thought was near impossible. Wilfred Thesiger was one of Britain’s great explorers and writers. His greatest journeys were through the world’s largest sand desert: the Empty Quarter of the Arabian Peninsula. Inspired by their hero, adventurers Alastair Humphreys and Leon McCarron attempt a journey of their own into the Empty Quarter. Their trip is hastily-planned and low budget: unable to afford camels they instead hope to drag a homemade steel cart (filled with 300kg of supplies) through the ferocious desert heat. This film is their story. Watch the trailer below. Purchase the film here.